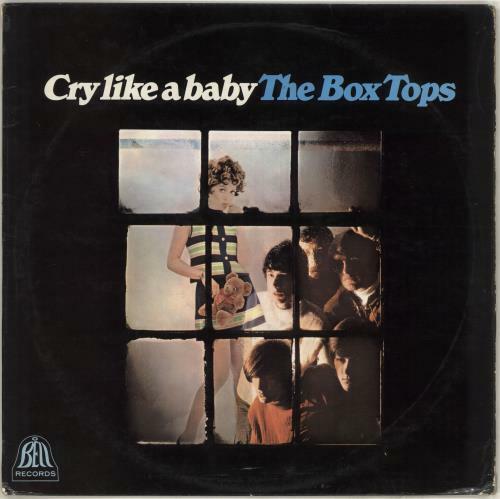 BOX TOPS Cry Like A Baby (1968 UK 13-track silver & blue Bell Records label STEREO vinyl LP featuring a very young Alex CHILTON [Big Star], housed in a laminated flipback picture sleeve. The sleeve has some notable edge scuffing and ringwear, plus a little discolouration on the reverse; however, the vinyl is in near as new condition. A very respectable play copy SBLL105). 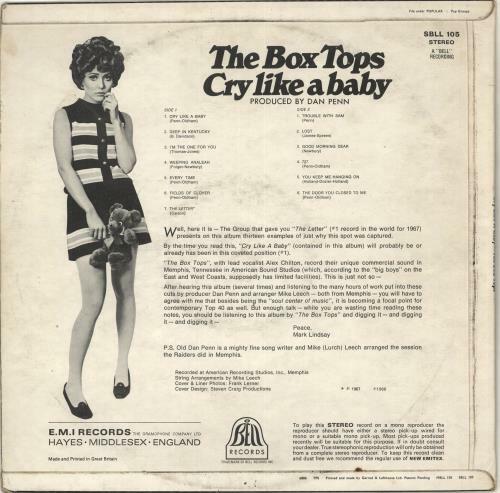 or visit our The Box Tops image gallery.